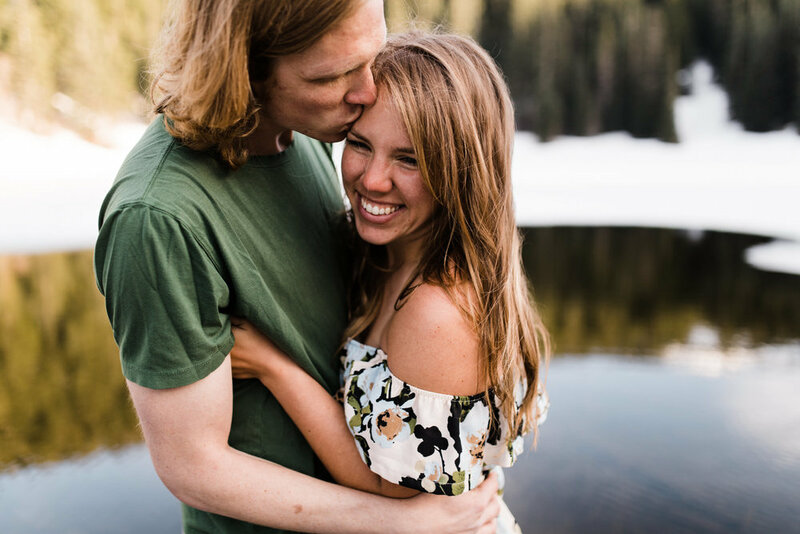 Lindsay + Heath's session was a perfect example of how good things happen when you go with the flow :) They live in Portland, Oregon and wanted to do their engagement session near a lake with a great mountain view, and when she originally reached out to me I knew exactly where to go! 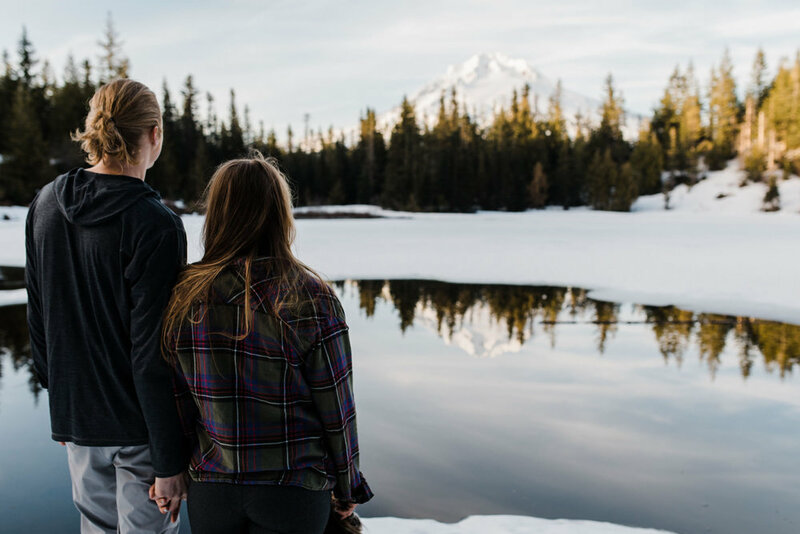 I suggested Trillium Lake near Mt. Hood and she was on board. 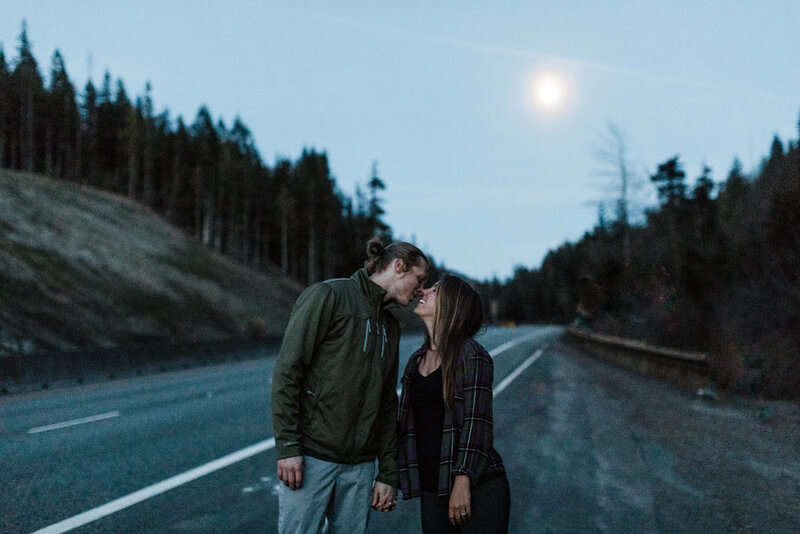 Well, the day of their session we ended up meeting at the turn out for Trillium Lake because the road down there was closed due to snow!! It was a 2+ mile walk through snow to the lake, so we called an audible, did a quick scan of google maps, and found Mirror Lake nearby. Mirror Lake was a short .7 mile hike, so we opted for that and I'm SO glad we did! We hiked through snow and got there about an hour before sunset. We had the whole lake to ourselves! It was still a little bit frozen, but there were sections where the ice had melted and we got to see why it's called Mirror Lake...it was perfectly reflective. 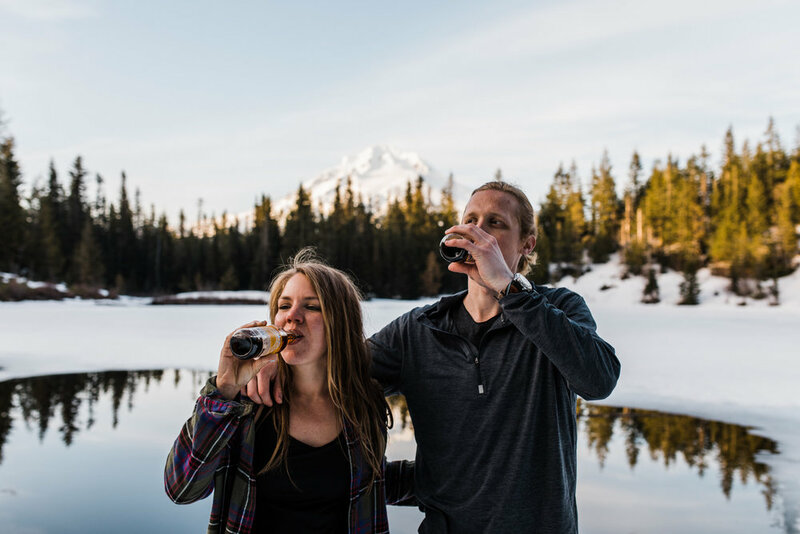 After spending a winter living in Walla Walla, Washington, Lindsay and Heath were unphased by the cold temps and even walked out on a log barefoot. They brought their sweet pup Manny along and he was a total ham. By the time we made it to the far side of the lake and caught a glimpse of Mt. Hood we were all in awe of how beautiful that area was. We ended up hiking back as the sun was setting and were lucky enough to catch a few glimpses of the sunset through the trees before getting back to the cars for a little bit of blue hour. 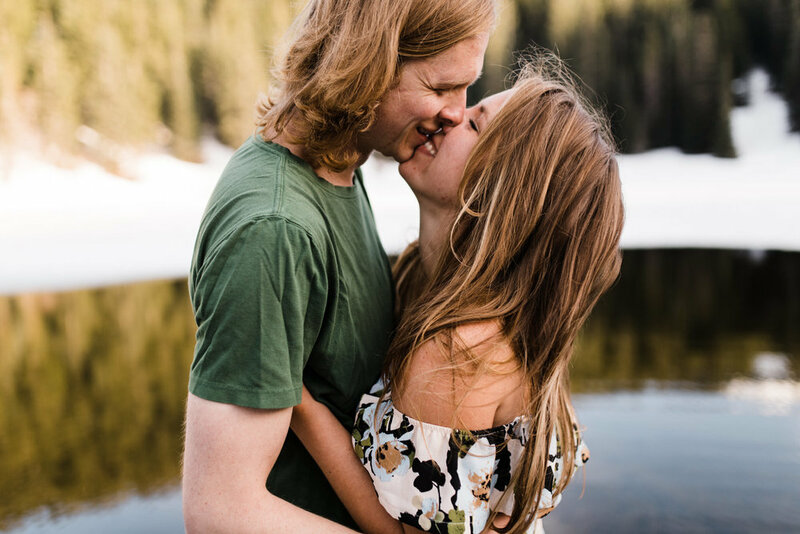 We had so much fun with this session and are so stoked on how it turned out!